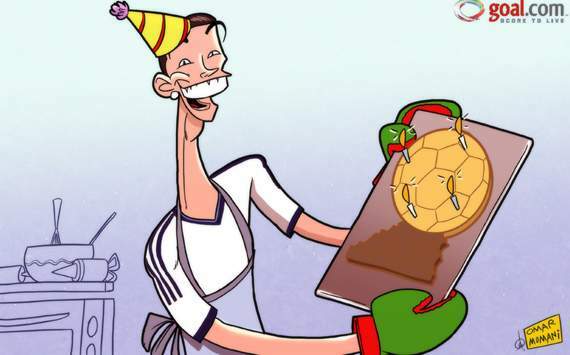 Cartoon of the Day: Happy birthday Cristiano Ronaldo! He may have been pipped to the Ballon d’Or once again by Lionel Messi, but it’s been quite a year for Cristiano Ronaldo. The Real Madrid star turns 28 on Tuesday on the back of 12 months which have seen him claim his first La Liga crown in the Spanish capital as well as a host of individual honours. February 5 is an illustrious occasion indeed for footballers’ birthdays, as Carlos Tevez and Neymar also celebrate turning 29 and 21 respectively.